January 31, 2010 at the Phinney Neighborhood center 6532 Phinney Avenue North. Do you want to know if a backyard cottage will work on your lot? We will have access to parcel data for king county lots and will be able to discuss cottage options. Included in the backyard cottage legislation is a “grace period” that allows owners of existing, unauthorized backyard cottages the opportunity to legalize their unit without penalty. Owners have until June 30, 2010 to apply for a building permit and until December 31, 2010 to obtain final inspection of the unit. Who knew geothermal energy was possible in Ballard? A new residential project in Sunset Hill from JRJ development and Tangent Architects is using geothermal energy to heat their homes. See link for a brief explanation of how the system works. It is anticipated that geothermal systems can save 40% - 70% on heating bills. On a cold day like today, you can actually feel the heat coming out of the ground. what would a backyard cottage look like? Here is an 800 sq. 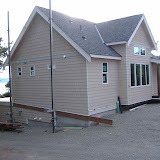 ft. cottage nearing completion in Burien. Added to an existing single family lot to accomodate an aging family member and provide a garage for the main house. In Burien the zoning code does not include garage area in the calculation for the allowable area of the unit. Built as a new home for an ageing family member this cottage is built over a garage providing shop space for the existing residence. Welcome to those who are fans of small houses and urban living. Seattle's expanded backyard cottage ordinance goes into affect today after being approved unanimously by the city council. A backyard cottage is an detached accessory dwelling unit (DADU) a secondary stand alone residence in a single family residential zone. DADU's have been allowed in SE Seattle since 2006. Under the expanded ordinance separate cottages or DADU's are now allowed in single family zones throughout seattle. There are specific requirements that determine where they can be located and their height and size(see link below). What they look like, and how they function will be up to those who design and build and live in them. 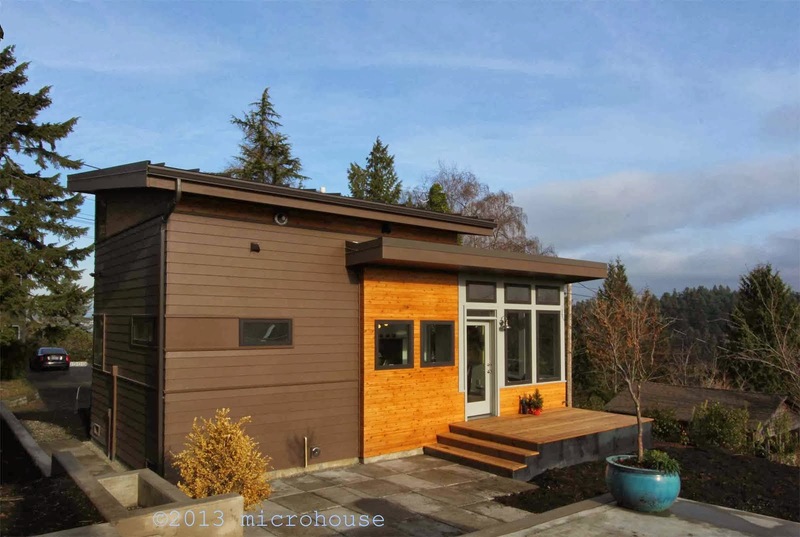 We hope that this blog can be a forum to promote good design of small dwellings. To find out if you can build a backyard cottage you can verify your lot size and zoning at the seattle dpd web page. Then review the specific code requirements. Otherwise you can contact a design professional to do the research for you. In general you need a minimum lot size of 4,000 sq ft. and lot width of 25ft. The cottage cannot be built in the front setback or within 5ft of the property line except where the property line abuts an alley. The height is limited based on the lot width and roof type. 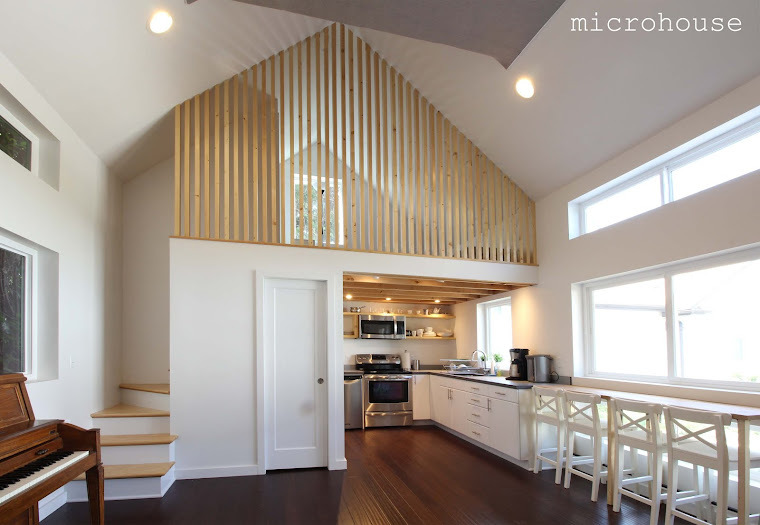 The total, gross floor, area of the cottage is limited to 800 sq. ft.